The books kids love to read! This is the great range of the Top 5 selling books we sell. 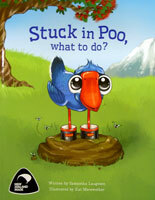 Very popular is Luke the Pukeko and his Stuck in Poo story, or Join Little Kiwi on his exciting adventures, through the forest, and meet his many friends along the way. All are great reads and we recommend them for any kids aged up to 6 years. Great New Zealand Souvenirs & Gifts. and cow poo . 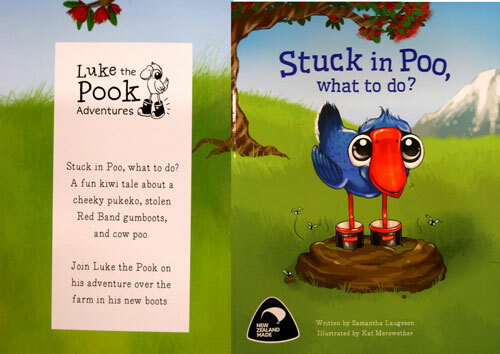 . .
Join Luke the Pukeko on his farm adventure in his gumboots. Its night and the little Kiwi is out for his first walk with his mother. The only problem is, the night is full of scary noises and the little Kiwi is terrified of the dark. Even when he meets other night creatures like more-pork and possum, it makes no difference - the night is far to scary for him. But what happens to little Kiwi when he decides to venture out during the day? 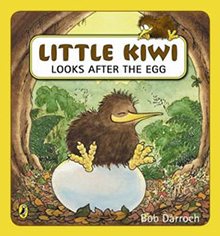 When little Kiwi hatches from his egg, an accident launches him out into the world on an unexpected adventure. He's got to get back home to Mum, but cant really remember what she looks like. With help from a blue penguin he sets about meeting a variety of New Zealand birds in his quest to find his Mum. Little Kiwi has a very important job: to look after his new brother or sister - whatever hatches out of the egg! The only problem is the egg has a mind of its own and leads little Kiwi on a wild chase through the New Zealand bush. Will little Kiwi manage to keep it safe? 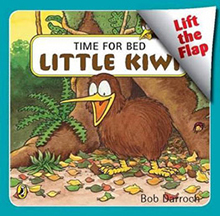 It's time for Little Kiwi to go to bed but where is he? 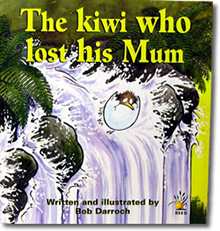 Join his mum on a search through the New Zealand bush as she tries to track him down. 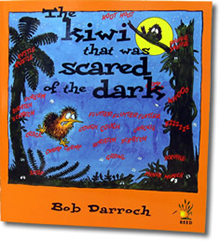 A new adventure in our popular Little Kiwi series of story books. Images copyright © 2006 - 2019 by Simply Souvenirs Ltd. All rights reserved.